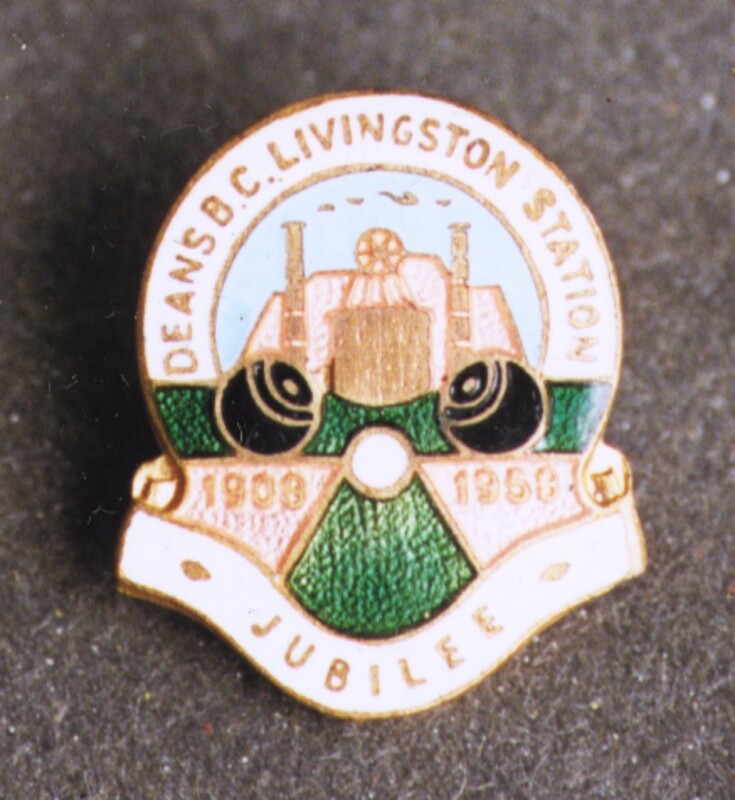 1" diameter enamelled Bowling Club badge "Deans B.C. Livingston Station. 1908-1958 Jubilee", with mining motifs: picturing in the background a bing, 2 chimneys and a shaft winding wheel. In the foreground are two bowls and a jack.